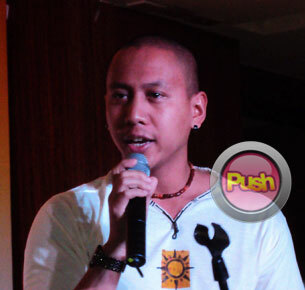 Fil-Canadian artist Mikey Bustos talks about his famous 'Pinoy tutorials' on YouTube and his activities during his stay in Manila. Just this year, he made waves online due to his series of “Pinoy tutorials,” each providing humorous insights into uniquely Pinoy traditions and experiences, from local accents and courting styles to table manners and balut-eating. Asked how he ended up doing such innovative videos, Mikey explained that didn’t expect it to be a huge hit in the beginning. “Filipino Tutorials Series was just uploaded because I wanted to show a little bit of my Pinoy heritage intended for a smaller audience at that time. My first video got 20,000 views and it picked up from there. I wasn’t expecting that huge reaction online. Asked about his celebrity crush, Mikey revealed that he admires Anne Curtis a lot. “I’d always admire Anne. She's beautiful and I am a fan of her work. Who knows, while I’m here, maybe I can say hello,” he beamed.